Sometimes people ask if CrossFit / functional fitness is dangerous. And the bottom line is compared to walking on a treadmill it is very dangerous. But the good news is, from my personal experience, CrossFit is not as likely to result in an injury as soccer with seven year old girls. 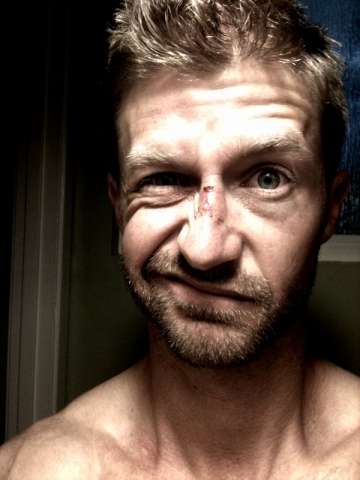 Check out the picture below to see what happened to my beak at a recent practice! Yeowch! Sunglasses and flying soccer balls do not mix!